NEWPORT BEACH — While it may seem early to plan how many strands of candy cane lights to string from your boat’s mast this December, organizers of the 104th Newport Beach Christmas Boat Parade are hoping a head start on vessel entries will mean a bigger, better boat parade. 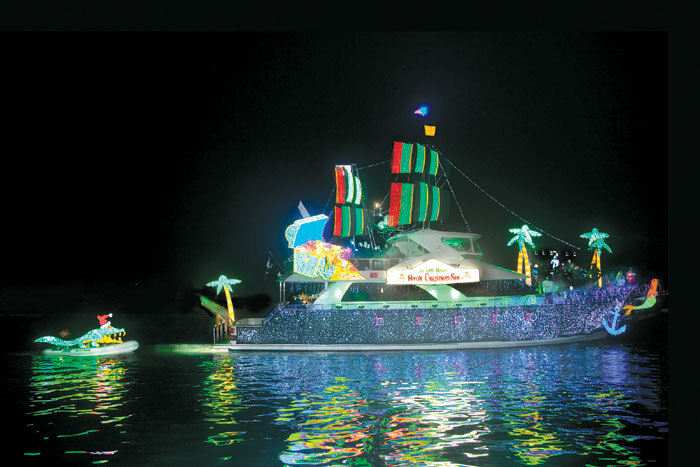 The Newport Beach Christmas Boat Parade Committee is launching a major campaign to get more vessels signed up for the 2012 parade than have participated in any other year. The goal: 100-plus total registered boats cruising along the parade route in Newport Harbor. To sweeten the pot, many local businesses are giving an extra incentive for boaters to register for the parade. The first 50 vessels to register will get special gifts from local restaurants, plus fuel, marine supplies and other goodies from area merchants. This year’s parade is scheduled nightly Dec. 19-23. This year marks the 104th time the parade has rounded Newport Harbor. With the exception of some “dark” years during World War II, Newport Beach’s parade is the longest-running lighted boat parade in the world. Sponsored by the Newport Beach Commodores’ Club, the parade is all made possible by dedicated Southern California boaters who take pride in the fact that all of their efforts bring smiles to more than 1 million spectators lining the parade route, Beek said. Boaters who want to enter the parade can call the Newport Beach Chamber of Commerce at (949) 729-4400 or visit christmasboatparade.com.